Kratom advocates had a short-lived celebration earlier this week when new language on federal health sites purported to show support for the herbal stimulant. Yet when the National Institute on Drug Abuse was alerted to the welcoming of the language, it quickly edited its information. 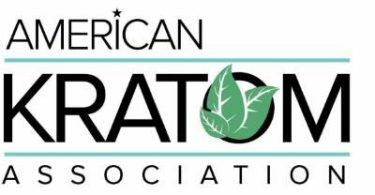 On Monday, the American Kratom Association issued a press release praising NIDA for updating its fact sheet on kratom. The drug is a powder made from the dry leaves of the Mitragyna speciosa plant that is native to Southeast Asia. When ingested, kratom can provide a range of effects from increased energy, pain relief or a psychoactive high. “NIDA’s position clarifies that natural kratom does not present a public health risk,” the AKA wrote in a statement and criticized the Food and Drug Administration for associating the drug with at least 44 overdose deaths. “Currently, no Government agency views Kratom as a safe drug. Just because a drug is not routinely fatal does not mean it is safe,” the email said. The AKA announcement spurred NIDA to remove the language from its page and consult with the FDA in how best to update the information, the email continued. NIDA’s kratom webpage was recently amended in July, but it entailed adding the word “psychotropic” — in that the drug has mind-altering effects — in describing what is kratom. In response to the pulling of the overdose information, AKA sent a letter to NIDA Director Nora Volkow accusing the institute of bowing to political pressure from the FDA. “We are concerned that NIDA may be under pressure from purely political requests or demands being made by the FDA related to kratom that are not supported by the science, including research done by NIDA and its research contractors,” wrote David Herman, chairman of AKA. New Minnesota law that come into effect today.